Yared joined the National Drought Mitigation Center (NDMC) in March 2016 is working mainly on a NASA-funded project on seasonal prediction of climate for the Greater Horn of Africa. He is also involved in a USAID-funded project for the MENA region. Yared has contributed to the NDMC project on building the Vegetation Drought Response Index for Canada (VegDRI-Canada). Previously, he worked at Ambo and Addis Ababa University (Ethiopia) as a lecturer and delivered water resources-related courses to Civil and Hydraulics Engineering students. 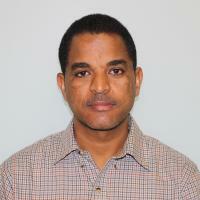 In addition, Yared has been involved in research and has extensive knowledge and experience on catchment modeling, application of remote sensing on hydrological studies, dam safety management and drought monitoring.